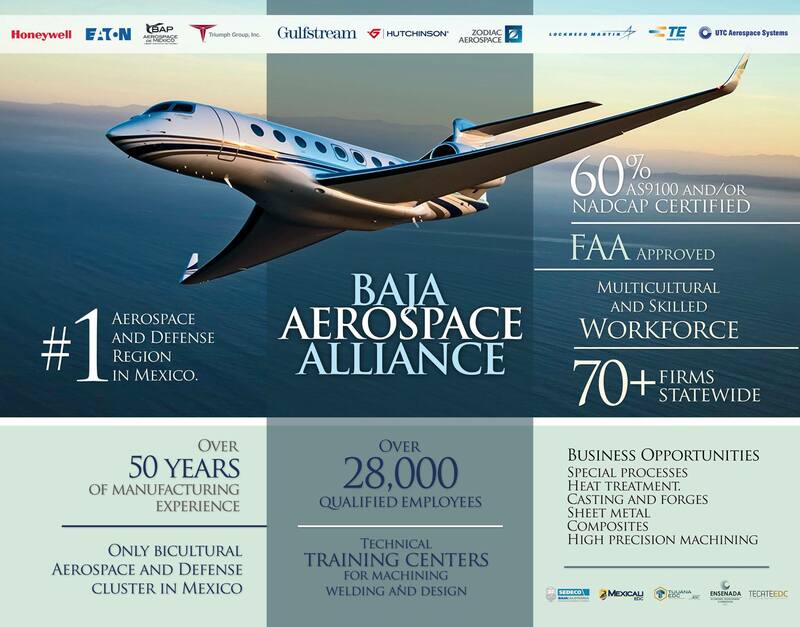 Baja California and San Diego will showcase CaliBaja´s regional capabilities in a unique Aerospace and Defense investment portfolio integrating talent availability, R&D, experienced supplier base, and cost-effective manufacturing location. 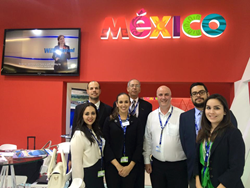 Baja California, Mexico's aerospace manufacturing center, and San Diego, the top U.S. city with the largest military concentration, will join promotional efforts to showcase regional aerospace and defense capabilities and business opportunities at Farnborough Aerospace Show, the world's premier event dedicated to this industry. Governor Francisco Vega is leading the Baja California Delegation comprised of Carlo Bonfante, Economic Development Secretary of Baja California; Xavier Peniche, Economic Development Secretary of Tijuana; from the private sector Cristina Hermosillo, President of the Tijuana EDC, also joining the delegation is Mark Cafferty, President and CEO of the San Diego Regional EDC. The CaliBaja delegation is meeting with executives and decision makers to discuss the advantages of bi-national operations, highlighting success stories from companies operating in the region such as Honeywell, Eaton, Zodiac, and UTC. They will also meet with representatives of other delegations such as the Belgian Aerospace cluster and Aerospace Industries in Canada, among others. 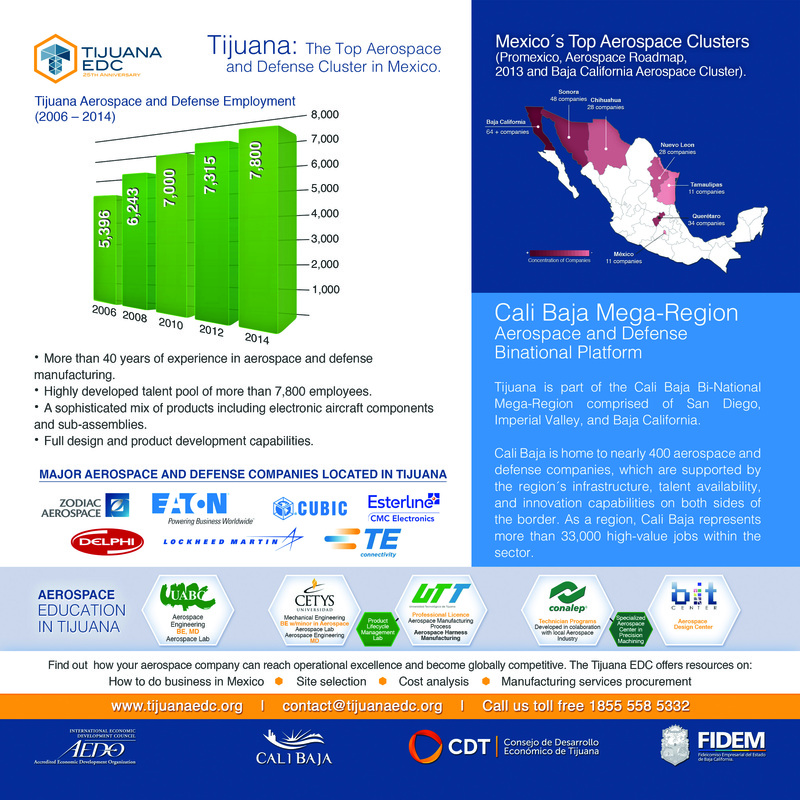 Baja California is home to over 70 aerospace and defense firms and 28,000 jobs in the sector. The local cluster represents a $2.1 Billion opportunity to supply local industry demand on high precision machining, heat treatment, casting and forges, and special processes. Its counterpart, San Diego, is a North American aerospace hub. Companies based in the city of San Diego are some of the world's most renowned firms in the sector, which are part of an aerospace, navigation, and maritime technologies cluster in Southern California. In the last 12 years, A&D employment has grown by 66.7 percent, reaching 33,000 jobs in San Diego county alone. Cristina Hermosillo, President of the Tijuana EDC, mentioned that the combination of capabilities, experience, skilled workforce and the multicultural environment in CaliBaja make this region a unique destination for business. There is no other platform to serve global market like this region for companies looking to serve U.S. and Europe markets. The past edition was a record year for Farnborough Int´l Air Show with orders and commitments worth $201 Billion dlls. Attendees accounted for over 80,000 people from 75 countries, 67% of the exhibitors where from outside of the UK, 17 of the world's prime aerospace countries where present at the exhibit floor, and the U.S., Russia, U.K., Italy, and France were showcased as the 5 top major exhibitors. This year´s show highlights will include a UAVs exhibition, to showcase the latest aerial and terrestrial drones. There will be briefings on the use of drones, CAA regulations, FPV racing (First Person Viewing) and flying demonstrations. About Tijuana EDC: Non-profit organization, experts in bi-national business with over 26 years of experience establishing successful manufacturing operations in Tijuana, Mexico. Our membership is comprised of over 100 leading firms from both sides of the border, service providers to the industry highly committed to the industrial and economic development of the region.